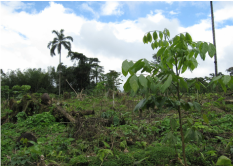 Solutions to tropical deforestation and degradation need to respond to local economic needs as much as global environmental needs. However, combining conservation and development is difficult anywhere, and many forest communities have only recently come into contact with the outside world. 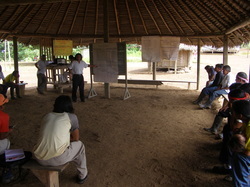 Challenges are exacerbated because community development in tropical ecosystems needs to consider both individual and collective incentives (something that traditional business has little to no experience with), and is composed of a mix of stakeholders trying to work together, making the tropics a complex multi-actor, multi-cultural context, for which few blueprints exist. Under these conditions, a “business as usual” approach is not sufficient. New models designed for the tropics, and led by local people, are needed. 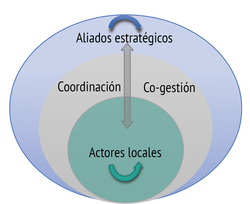 PlanJunto was founded in 2013 on the premise that a business and organizational model was needed to translate valuable best practices from the domain of academia into large-scale impact. 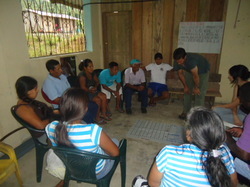 Over the last 18 months, PlanJunto has piloted its model with a consortium made up of forest community, non-profit, for-profit and finance partners in Orellana province in Ecuador, generating broad positive results in a relatively short period, catalyzing energy and resources into a cohesive multi-actor vision and operational structure. ​Building on success in the field, PlanJunto is establishing a Community Enterprise Incubator in the Ecuadorian Amazon to get these practices adopted by greater numbers at greater scale, and drive systemic change. The incubator brings together talented, committed individuals into a dynamic bootcamp cycle of connection and learning, equipping a new generation of leaders with the tools, knowledge, and access to markets and finance to be agents of positive change.